Tread softly inside the grounds of Augusta National. 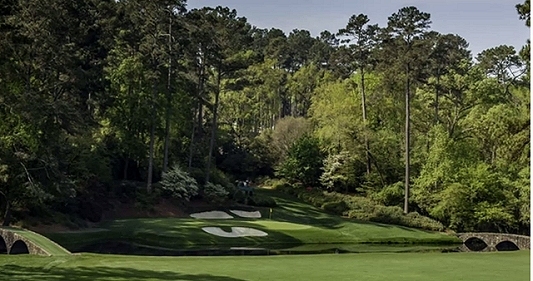 The Masters is no ordinary golf tournament. One of the great unwritten rules at Augusta a patron’s right to place their chair beside the 18th green at the start of the day, and expect it to still be there, unattended when they wish to return there later. Reportedly, the fast shoe shuffle (no running) from patrons making their way through the gates each morning to place their chairs beside the 18th green would make a great viral video. But alas, there are no cameras or phones allowed on the course. 2. You cannot refer to yourself as a ‘fan’ or a ‘spectator’. You are a patron. Augusta National has a list of set terms for its official broadcasters and deviating from them is considered a big no-no as some previous CBS commentators discovered. The rough is known as the ‘second cut’ and all attending humans are known as ‘patrons’. 3. You cannot lie down on the grass. Long, hot days watching professional golf in Australia often necessitates a short lie down before you making your way back to the tournament village for a pie with sauce. Not so at Augusta. If you lie down on the perfectly manicured ‘second cut’ you’ll be promptly told to sit up by tournament officials. Ignore the warning and you’re out of the tournament. 4. You cannot take sand from the bunkers. Strictly speaking, I’m not sure you’re allowed to do this at any golf course but one man found out for himself that this was forbidden at Augusta National. During the final round of the 2012 US Masters, a man jumped inside the ropes and took sand from one of the bunkers as a souvenir. Security and local police chased the man down and was ejected from the tournament and charged with disorderly conduct. Asking players for autographs are strictly forbidden at The Masters unless you’re at the designated area near the practice range. Like all of these forbidden practices, asking for an autograph will most likely result is being ejected from the tournament. I assume though that you’re allowed to ask fellow patron’s for an autograph. Ricky Ponting has been known to make his way to Augusta National from time to time but just to be safe, perhaps just whisper it in his ear if you see him rather than shouting it out loud. There really isn’t much you can do at The Masters except watch the golf. And it’s absolutely magnificent.